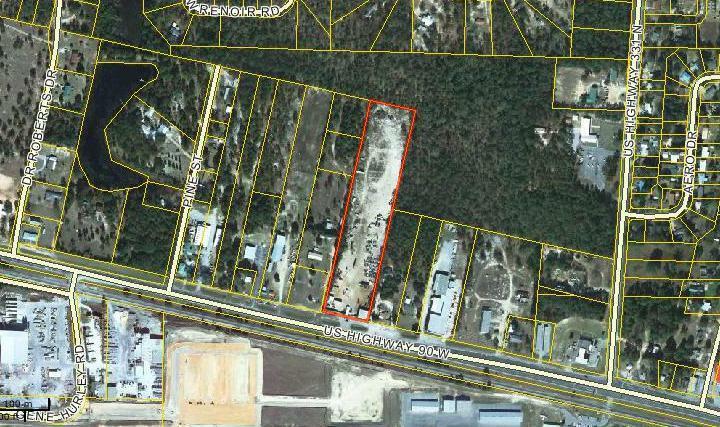 7.5+/- acres for lease in Defuniak Springs. Property is perfect for industrial use, large equipment storage, etc. This parcel also holds a state license for salvage. Multiple uses allowed. 3 buildings on site include 2500sqft, 400sqft, and another 400sqft office in the front.